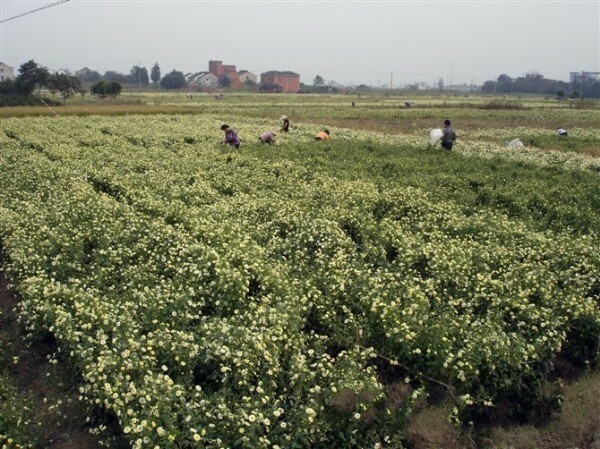 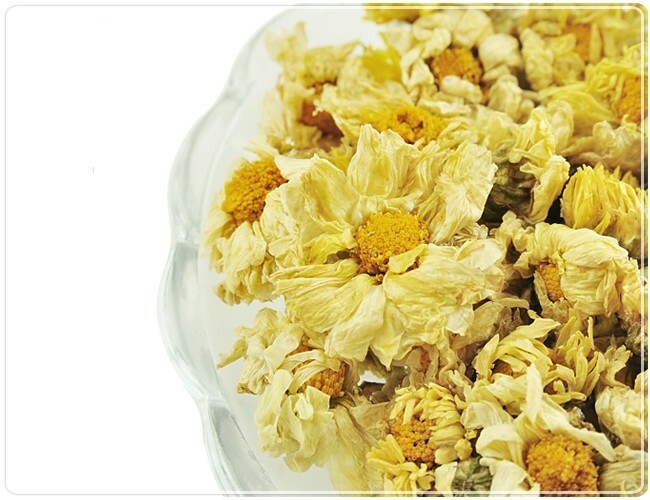 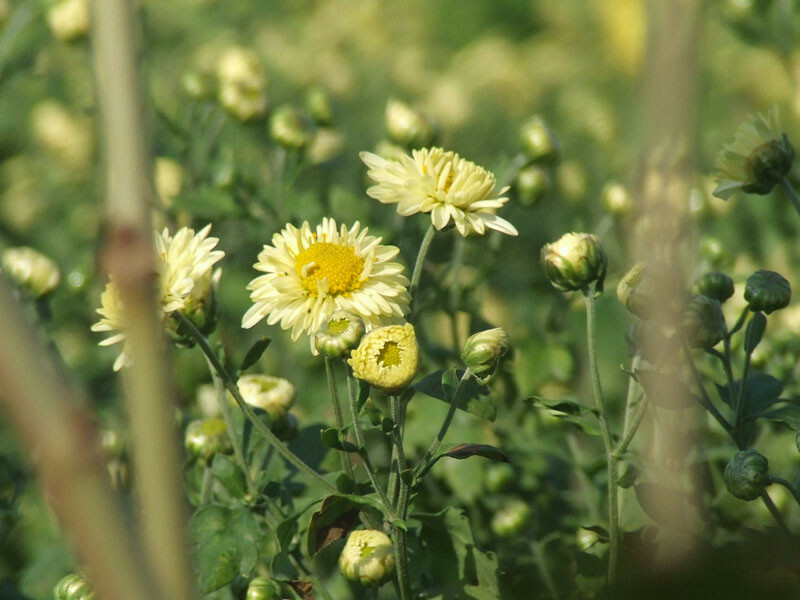 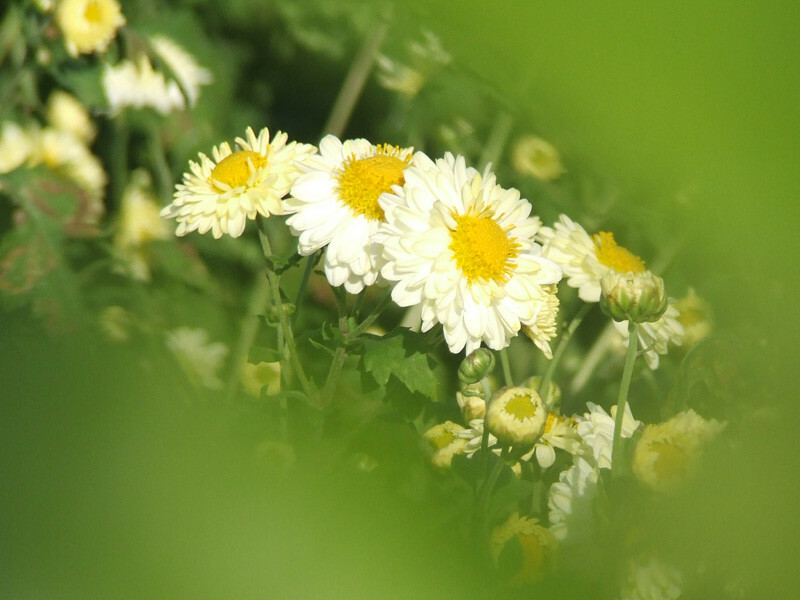 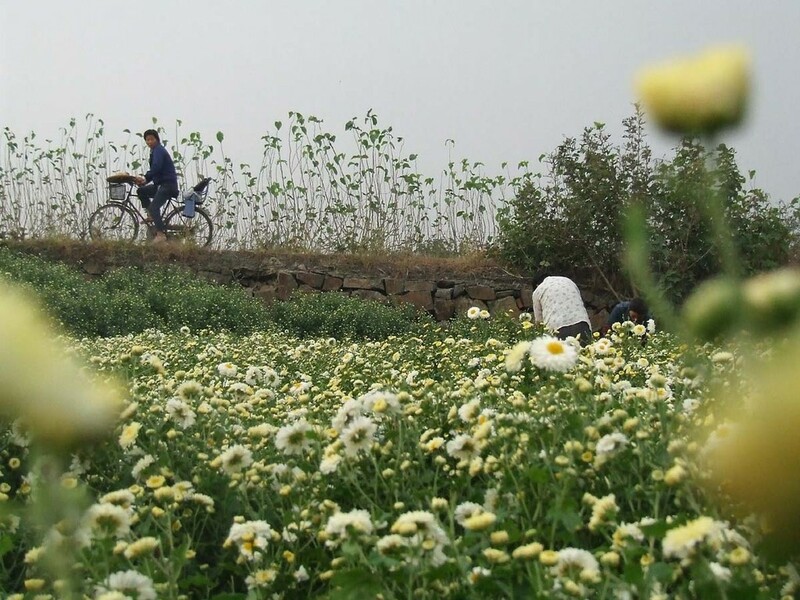 Chrysanthemum tea is a flower-based tisane made from chrysanthemum flowers of the species Chrysanthemum morifolium or Chrysanthemum indicum, which are most popular in East Asia. 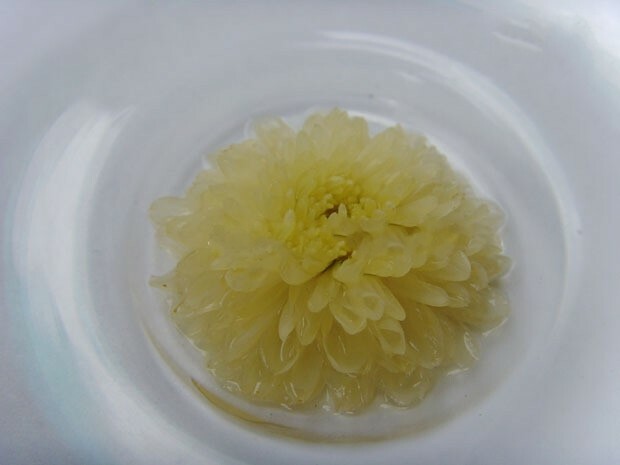 To prepare the tea, chrysanthemum flowers (usually dried) are steeped in hot water (usually 90 to 95 degrees Celsius after cooling from a boil) in either a teapot, cup, or glass; often rock sugar is also added, and occasionally also wolfberries. 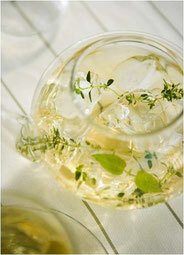 The resulting drink is transparent and ranges from pale to bright yellow in color, with a floral aroma. 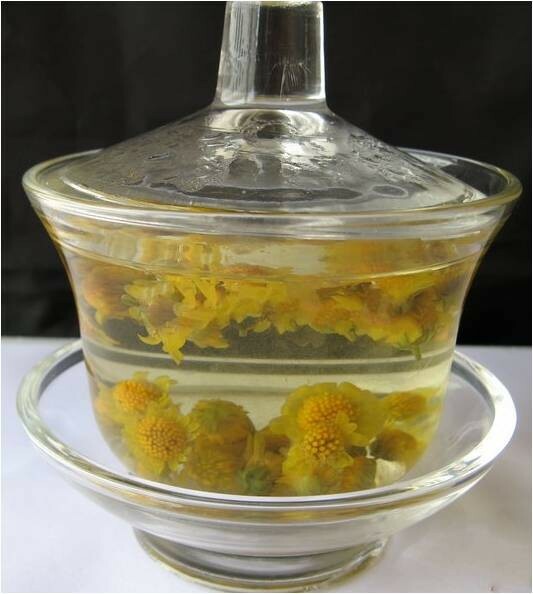 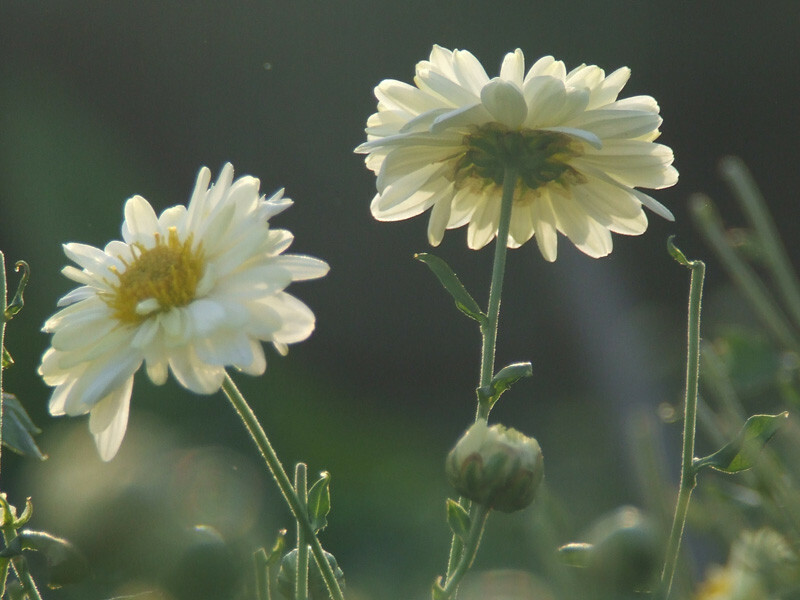 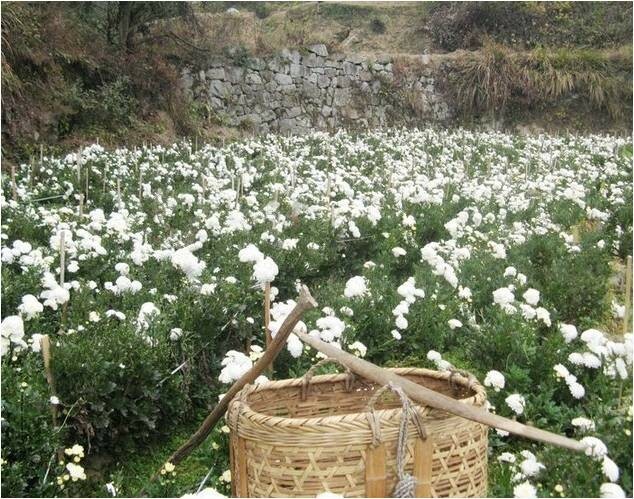 In Chinese tradition, once a pot of chrysanthemum tea has been drunk, hot water is typically added again to the flowers in the pot (producing a tea that is slightly less strong); this process is often repeated several times. 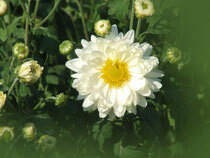 Of these, the first two are most popular. 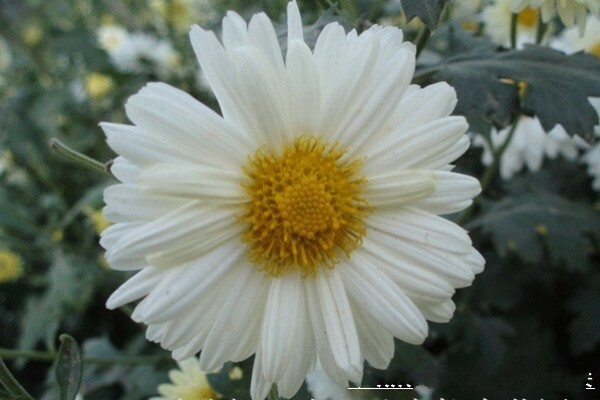 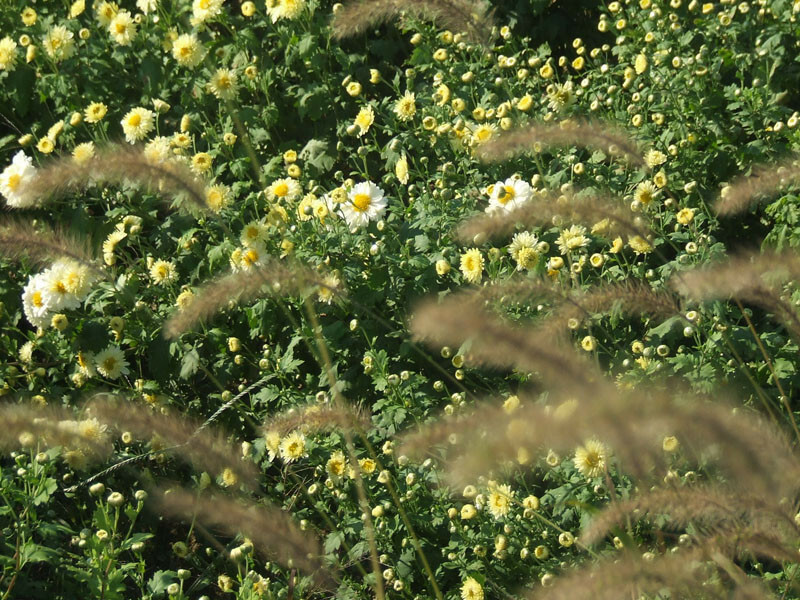 Some varieties feature a prominent yellow flower head while others do not. 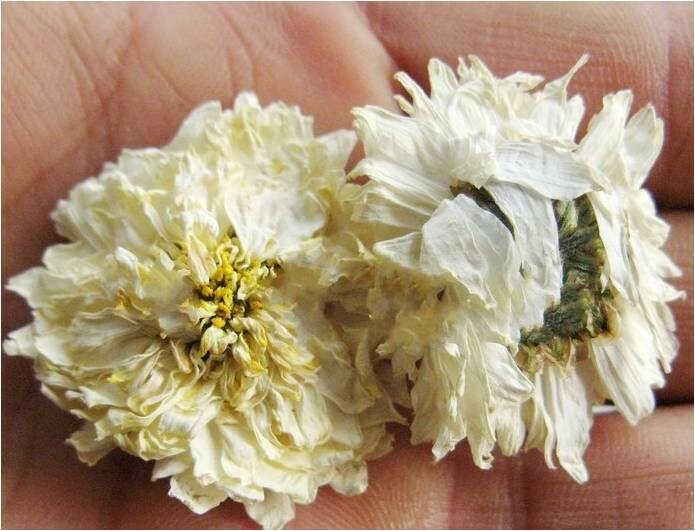 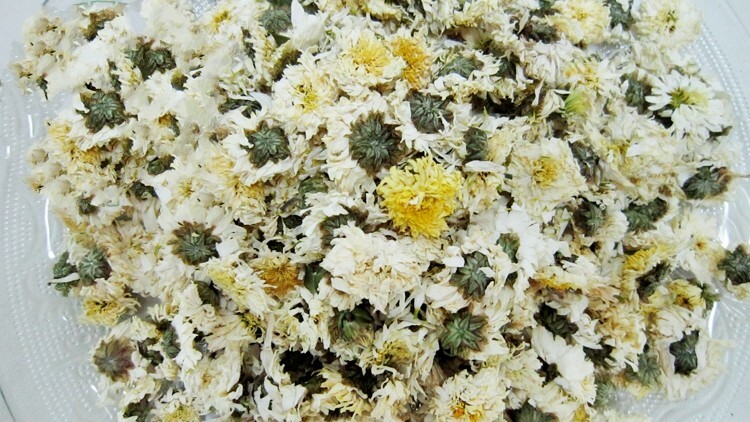 •Chrysanthemum tea detoxifies the blood, helps with sinus congestion and regulates high blood pressure. 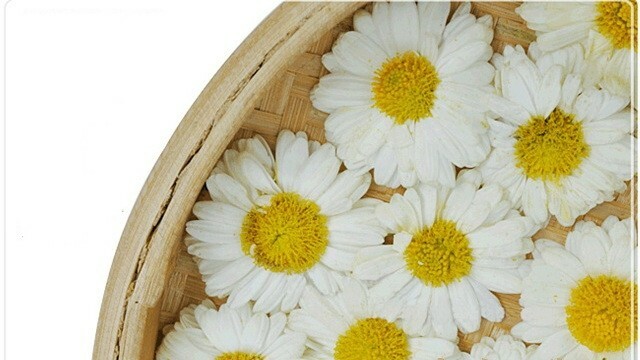 It can also help to calm the nerves. 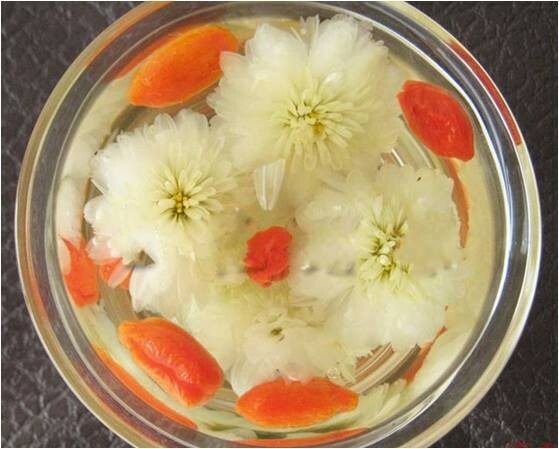 •Modern researches on the tea have established that it contains choline, vitamin A, vitamin B1, glycosides, adenine, amino acids, flavonoid, volatile oil, and other nutrients. 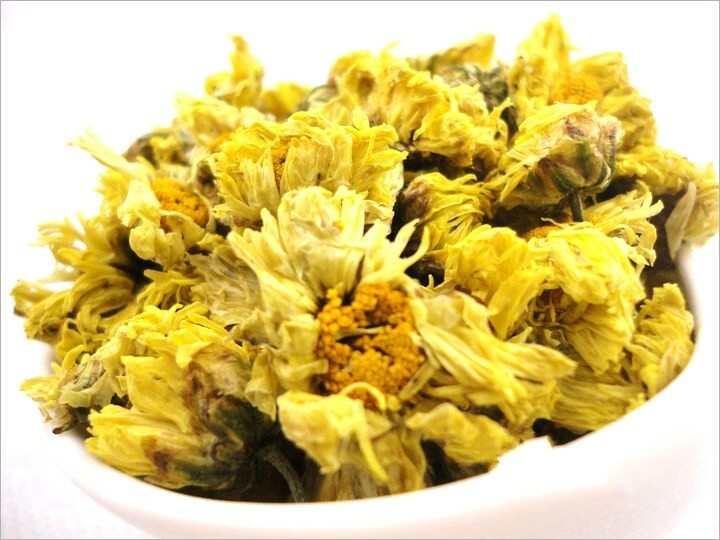 •Chrysanthemum tea restrains the growth of bacteria in the body, such as Staphylococcus aureus, Streptococcus hemolyticus B, Pseudomonas aeruginosa, Shigella dysenteriae, tubercle bacillus and dermatomycosis. 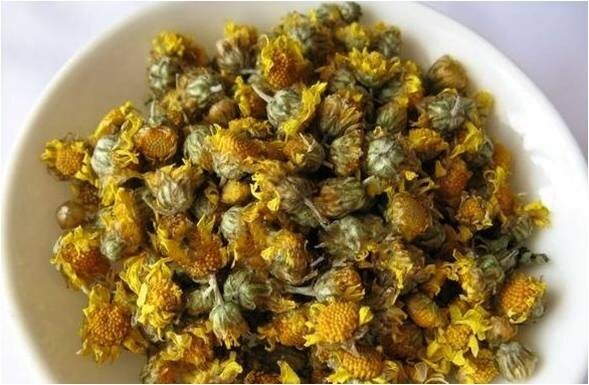 •The Chinese medicine prescribes this tea for relief against influenza and it is also used in treating heatstroke, due to its cooling effect. 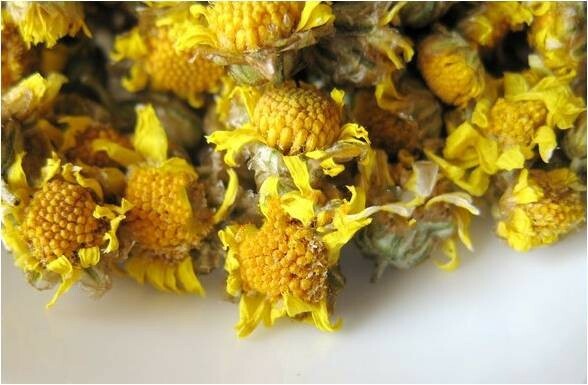 •When chrysanthemum tea is drunk with meals, it facilitates digestion, more so of greasy and oily foods. 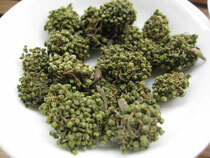 The tea is also consumed to strengthen the lungs and relieve head congestion. 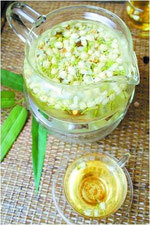 •The tea is also believed to improve vision and hearing. 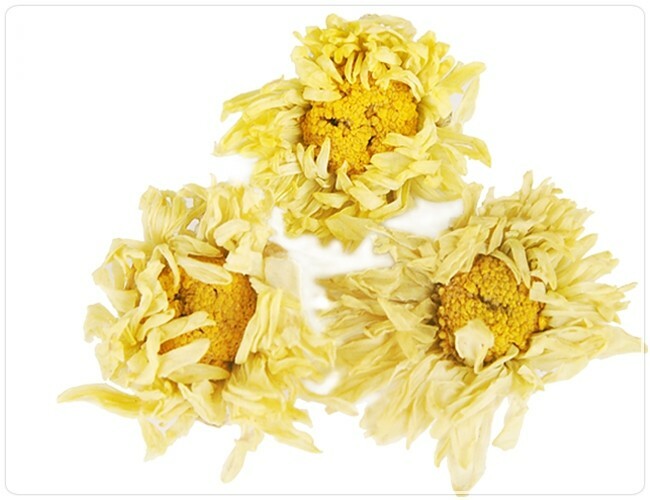 It can be safely recommended for obese people, as it contains zero calories, when consumed without adding sugar or honey. 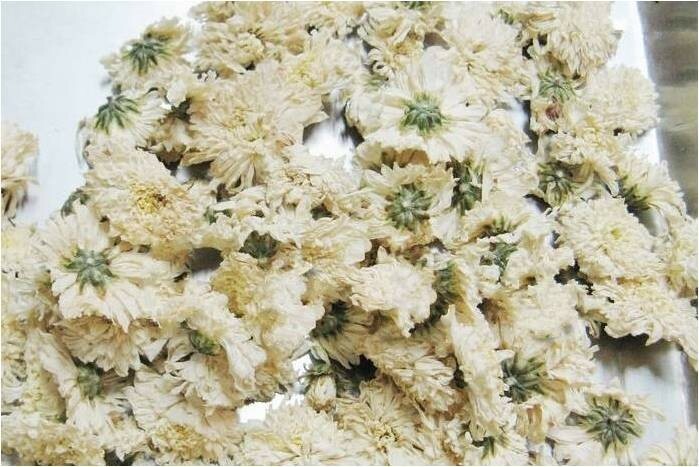 It also doesn’t contain any caffeine. 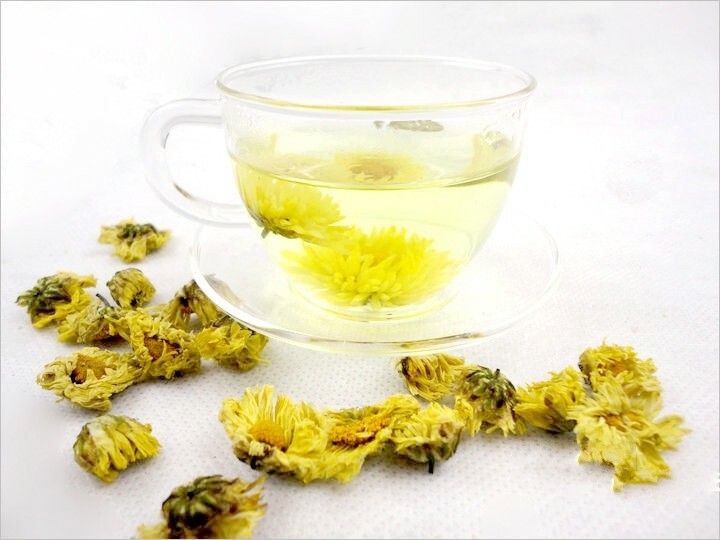 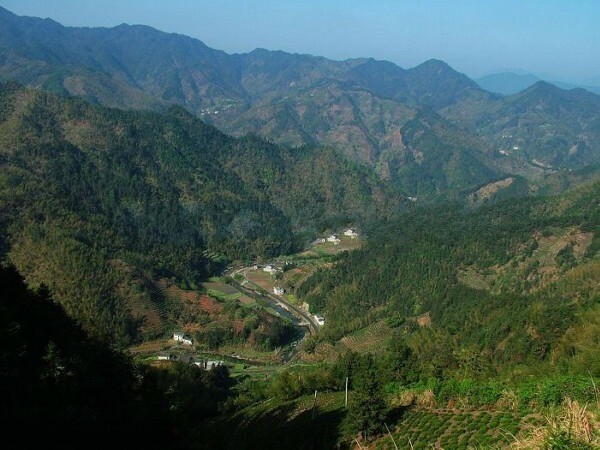 Enjoying tea is an integral part of Chinese life, and drinking Flower tea is also a popular yet affordable way for ordinary people to relieve common ailments. 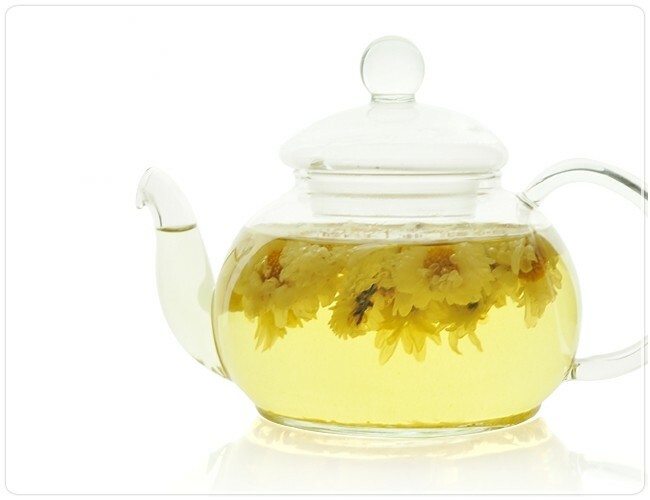 For example,Depending on what causes your sleep problem, a specific tea should be able to help you. 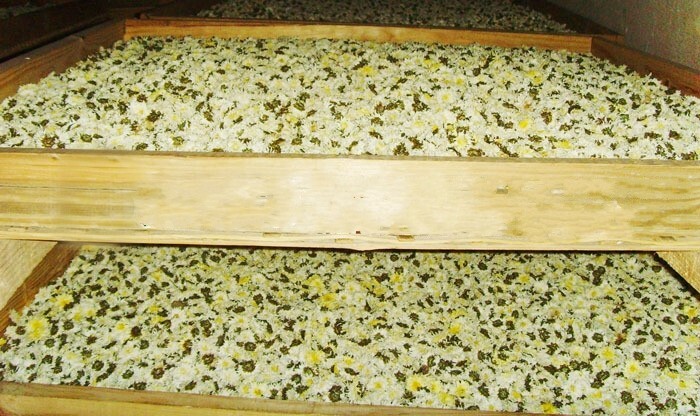 Jasmine is a genus of shrubs and vines in the olive family (Oleaceae), with about 200 species, native to tropical and warm temperate regions of the Old World. 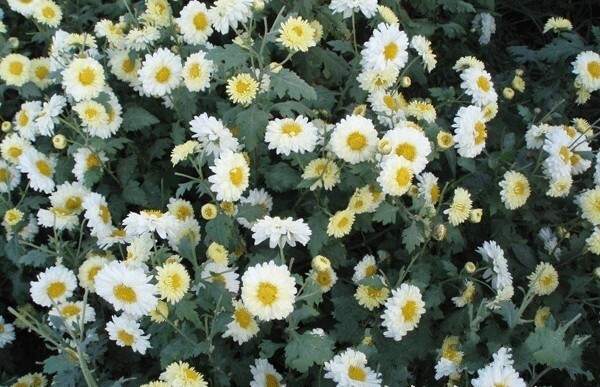 The leaves can be either evergreen (green all year round) or deciduous (falling in autumn).